Earlier this year athletes across the globe swapped their Nanos for MetCons. Why? Nike released its first cross training shoe MetCon 1. Nike MetCon 1 is supposed to be a shoe specifically made for high-intensity training like Crossfit. The shoes were debuted by Lauren Fisher, Josh Bridges and Mat Fraser. Additionally Sara Sigmundsdottir, the fourth athletes Nike signed for their cross-training line, made it onto the podium of the 2015 Games. 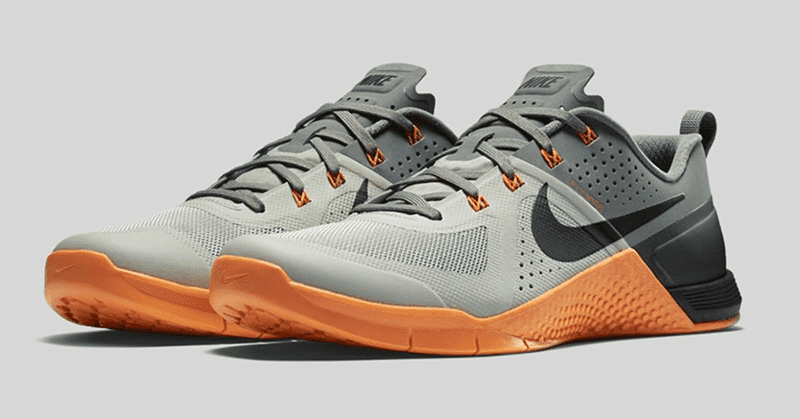 The Nike MetCon 1 is designed to fit the demands of the functional fitness training. Jumping, running, weightlifting and rope climbing is not a problem with this shoe. That said, Nike labelled MetCon 1 model as stable, strong and build to last. The shoe weights 340 grams, more than any other functional fitness trainers on the market. However, it offers a solid stability for any squat-like movements in return. MetCon 1 has a stable heel as mentioned before, the shoe fits perfectly for any high-volume Crossfit workout, while its forefoot offers enough flexibility to ensure burpees, running and box jumps feel comfortable. 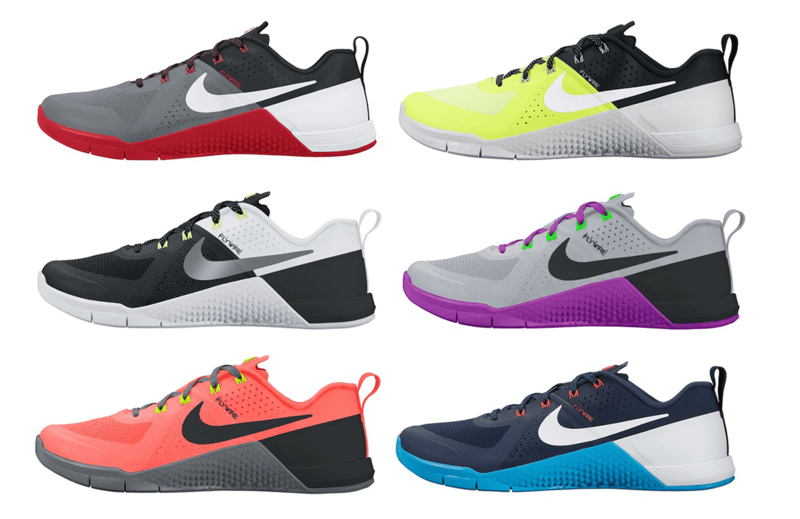 Nike MetCon 1 comes in many colour variants. With abrasion-resistant mesh and durable outsole, the Nike Metcon 1 is supposed to withstand any friction the rope climbs or any other objects used in workouts, can cause. The Flywire cable technology, a system of filaments that functions like cables on a suspension bridge, on the upper part of the shoe contributes to better support (of the foot) precisely where it’s needed. Although some reviews suggest, Nike MetCon 1 might not be as resistant as advertised. Some users report about having issues with shoe’s outsole peeling off after a few workouts with burpees and box jumps. However this was taken care of by Nike when releasing the new version of the Nike Metcon 2 last year. Like Nike Romaelos, MetCon 1 shoe fits better to wider-feet athletes. And as all Nike trainers, MetCons look visually incredibly appealing. The Nike’s recognizable volt tone is back, coupled with black/grey. There are numerous other variants, with Lauren Fisher signature model being one of the the most popular editions.